Seattle needs more housing of all kinds in all neighborhoods, not legally dubious fees and mandates. The MHA will make housing infeasible and raise prices. Seattle’s hearing examiner has rejected a neighborhood appeal of its Mandatory Housing Affordability (MHA) program, a proposal that would create small increases in the size of new buildings in exchange for requiring developers to pay a fee. The City Council can now enact the program citywide. Developers should be cheering this decision to build more. They aren’t. Here’s why. The notion of the city exchanging increases in development capacity for a fee — bigger buildings for a fee to add more affordable housing — dates back to a policy called incentive zoning. As the housing economy roared back in 2011, supply didn’t keep up with demand. Rents skyrocketed, and housing nonprofits demanded more money for their projects. The City Council turned toward the incentive zoning program and proposed higher fees for more development. Instead of lowering the fee, council member Mike O’Brien proposed a citywide tax on every square foot of new development to generate money for nonprofits, something he called the “linkage tax.” Then-Mayor Ed Murray and the City Council liked the idea, but lawyers for large developers threatened a lawsuit. So, in 2015, Murray convened what became the Housing Affordability and Livability Agenda (HALA) Committee to come up with a compromise. What resulted was the so called “Grand Bargain,” a deal struck with big developers that they wouldn’t sue and that they’d agree to pay fees in what would become the Mandatory Housing Affordability program, or MHA. But there are big problems with MHA. First, there were 10 signers of the grand bargain but only one large developer, Vulcan, signed for developers. There are hundreds of builders and developers in Seattle who were not at that table. 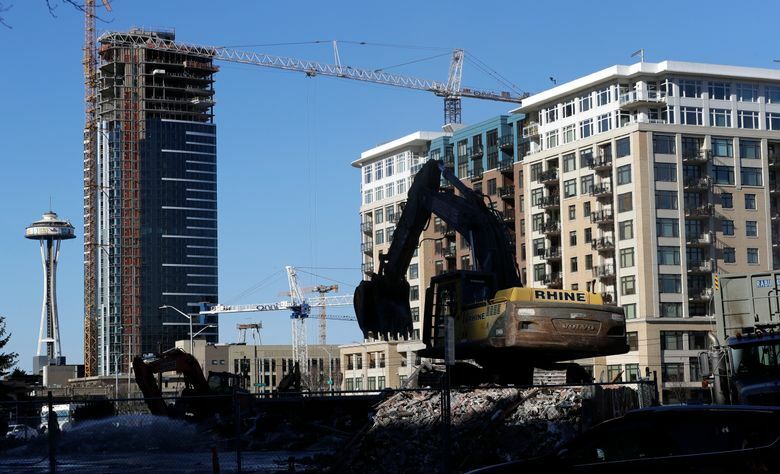 There were three nonprofit developers, however, and the fees negotiated for extra capacity were favorable to projects in downtown and South Lake Union, not projects anywhere else. Second, the MHA fees cancel benefits from extra capacity in other neighborhoods. A study by Sightline found that mid-rise projects in the University District would become infeasible: The fees would be too expensive to warrant any construction. Sightline went on to say, “the draft low-rise MHA policy is imbalanced and will slow construction and produce less housing.” All over Seattle MHA will discourage new housing, resulting in less supply and higher prices. Third, this doesn’t mean housing won’t get built. When prices rise high enough to charge rents to pay the MHA fees, building will start again. Then renters will have to pay more to cover the fees, and when rents get higher, more demand will be placed on nonprofit subsidized housing waiting lists. And then nonprofits will call for higher fees. This inflationary cycle will continue. The MHA program doesn’t cure housing inflation, it stokes the inflationary fire. Finally, MHA is just as illegal as the linkage tax was in 2015 when dozens of lawyers told the city in a letter that mandatory fees in lieu of including rent-restricted housing “are not authorized by Washington state law.” Such programs must be voluntary; there is nothing voluntary about the fees under MHA. Seattle needs more housing of all kinds in all neighborhoods, not legally dubious fees and mandates. MHA will make housing infeasible and raise prices. We urge a legal challenge if the city ignores the law and economics, a path that is damaging for housing producers and consumers and will extend Seattle’s housing crisis, not solve it. Roger Valdez is director of Seattle For Growth, a housing-advocacy organization that wants more housing of all kinds in all neighborhoods.